As a culinary capital, Buffalo is an unsung American hero. Home of the iconic Buffalo wing, of course, it’s also a city of sandwiches, pizza, hot dogs, and spag parm. It’s where creativity meets simple food to produce iconic eats copied endlessly, from fish fries to beef on weck, to sponge candy and more. With this entertaining cookbook, the companion to Buffalo Everything: A Guide to Eating in “The Nickel City,” Arthur Bovino shows home cooks how to bring the best of Upstate New York into their kitchens. 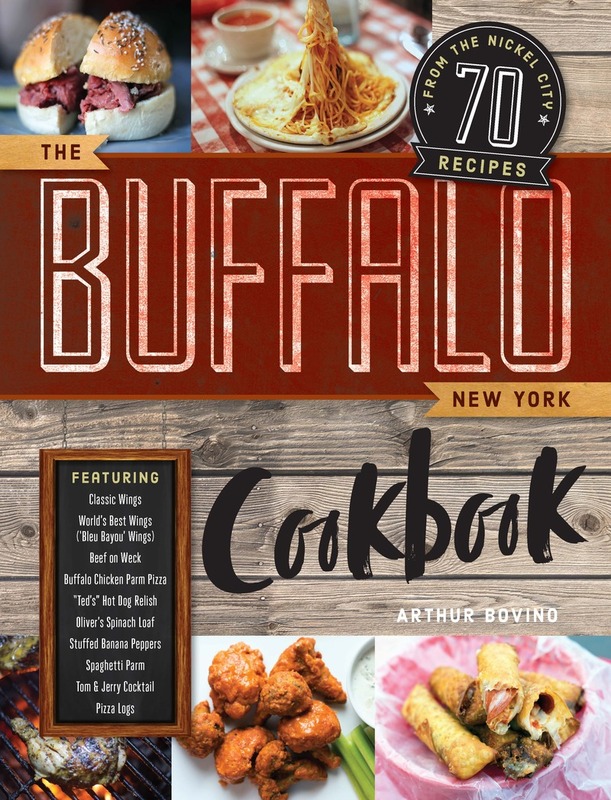 Whether you’re hosting a get- together to watch the game or in need of some weeknight comfort food, The Buffalo New York Cookbook has you covered. Arthur Bovino is a restaurant, food media, and travel writer, and the author of Buffalo Everything: A Guide to Eating in "Nickel City". The Daily Meal's founding Eat/Dine editor, Bovino is a graduate of New York City's International Culinary Institute. He has appeared on The Today Show and ABC News.